This is my Brandywine series of knife. 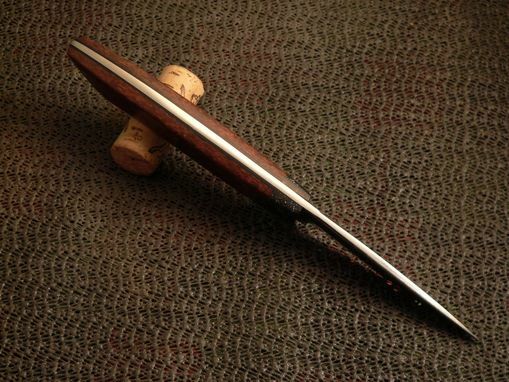 1084 high carbon steel, stabilized redwood handle, black corian bolsters, tapered tang. 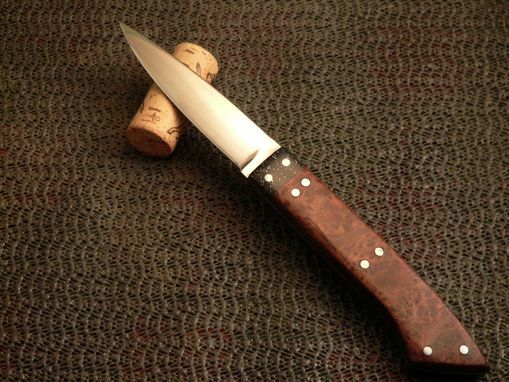 Beautiful, sharp knife.